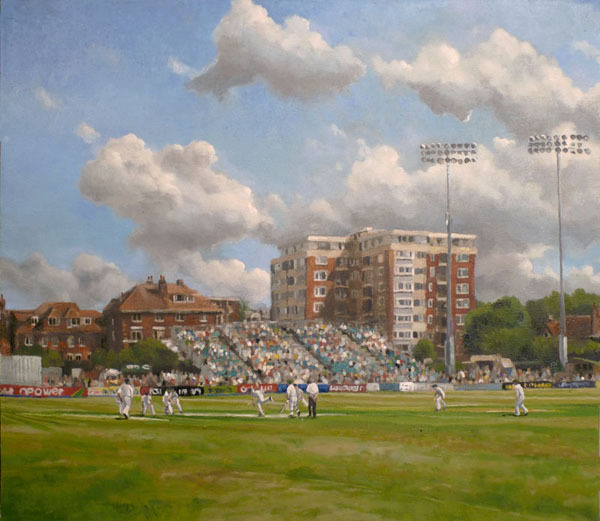 An historic occasion as Sussex hosted Australia for a warm up match before the 2009 Ashes tour. Ponting is facing with Katich at the opposite end. He was bowled by Wright, caught Hodd for 8 to the great delight of the boisterous Sussex crowd.